This May finds a season of films starring Frank Sinatra at the BFI Southbank in London (or as it’s really known, the NFT). Of course Sinatra has been acknowledged as perhaps the voice of the 20th Century, but he was also a fine actor, bringing the charisma and sensitivity found in his towering musical performances to the screen. While not a comprehensive season, the films on show do act as a thoughtful selection of his work. His early roles as the skinny crooner are represented in Step Lively (1944) and Meet Danny Wilson (1951), as well as the thrilling On the Town (1949) where he starred alongside Gene Kelly as sailors on shore leave in Manhattan. From Here To Eternity (1953) was a key film Sinatra’s career. With his popularity on the wane during the early 1950s the supporting role he took in this Pearl Harbor drama earned him an Oscar and rejuvinated his career as an actor and recording artist. 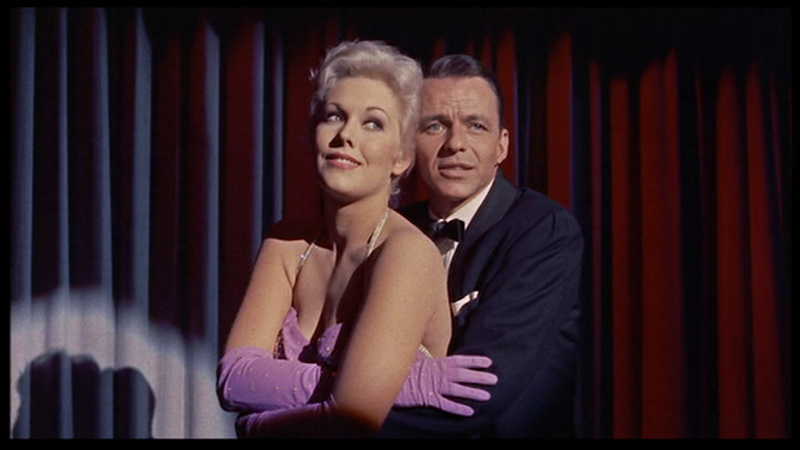 Sinatra also stars in the glamorous High Society (1956) and Pal Joey (1957), an underrated adaptation of the Broadway show also starring Rita Hayworth and Kim Novak. Sinatra also starred in some particularly serious roles, such as The Man With the Golden Arm (1955) (also with Novak) and the complex The Manchurian Candidate (1962). Two of his later films are also being screened:Tony Rome (1967) and The Detective (1968), and you even get the chance to watch a whole Sintra concert in This Is Sinatra!, a recording of a live show from The Royal Albert Hall from 1962. But the film I’m most interested in seeing is the new print of Some Came Running (1958), which also stars the great Dean Martin in a Technicolor, Cinemascope production directed by Vincente Minnelli. Find out more information about what’s playing at the season here. If you have any Sinatra films that you could recommend me, please leave a comment and let me know.